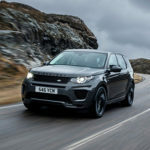 In case you are a Jeep fan, you have been anxiously waiting for a new pickup truck for many years. So, you will be happy to know that Jeep finally decided to launch the new 2020 Jeep Gladiator. While most people were expecting the debut of the Wrangler, the reality is that the automaker surprised everyone by debuting the 2020 Jeep Gladiator during the Los Angeles Auto Show. 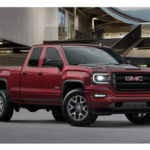 While at first sight, you may confuse the 2020 Jeep Gladiator with a Wrangler, the truth is that the automaker is ensuring to state that the 2020 Jeep Gladiator is a lot more than a Wrangler with a short top and a long frame. So, let’s take a closer look at the 2020 Jeep Gladiator. The 2020 Jeep Gladiator debut occurred during the last Los Angeles Auto Show and is it expected to go on sale during this spring. While your wait for the 2020 Jeep Gladiator is already over, the truth is that automaker hasn’t unveiled its price yet. According to most rumors and considering that the 2020 Jeep Gladiator is bigger and has more parts than the Wrangler Unlimited, we believe that the base price should be higher. In our opinion, the 2020 Jeep Gladiator model price should start at around $37,000. The 2020 Jeep Gladiator only offers one configuration – four-door and a five-foot bed. Nevertheless, in case you want to buy the 2020 Jeep Gladiator, you will be able to choose between 4 different trim levels – the Sport, the Sport S, the Overland, and the Rubicon. 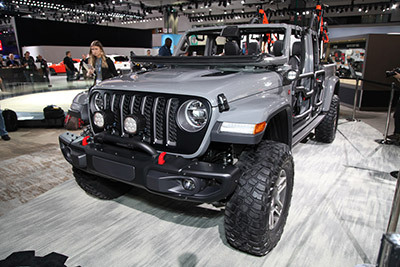 One of the things that we have to say about the cabin exterior design of the 2020 Jeep Gladiator is that it is very similar to the new JL Wrangler four-door. 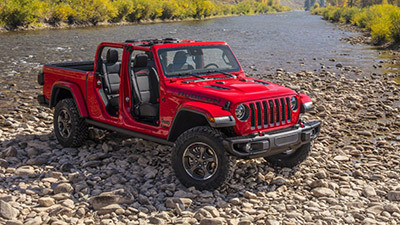 Another similarity with the Wrangler is the fact that you can choose between a three-piece hardtop with freedom panels or a folding soft top. 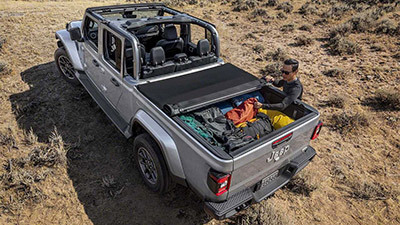 So, in case you buy the new 2020 Jeep Gladiator, you need to know that you can completely remove both tops as well as the four doors. In what concerns the front windshield, this can simply be folded flat over the hood. While the front of the 2020 Jeep Gladiator doesn’t show many changes, looking at the rear is a completely different story. 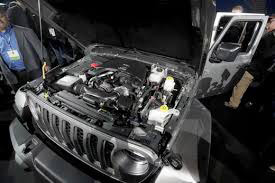 As soon as the 2020 Jeep Gladiator is launched, you will only have one engine available – the 3.6-liter V6 engine that is able to produce 285 of horsepower and 260 pounds per feet of torque. While the old turbocharged 2.0-liter eTorque engine won’t be available, the automaker should release the 2020 Jeep Gladiator with a new engine next year. 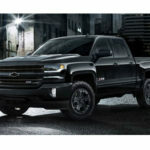 You should then expect to take advantage of the 3.0-liter EcoDiesel V6 engine that is capable of delivering 442 pounds per feet of torque. In what concerns the transmission, the 2020 Jeep Gladiator will come with the same gearbox as the Wrangler – the six-speed manual gearbox comes as standard and you have the option of having the eight-speed automatic gearbox. The 2020 Jeep Gladiator comes with four-wheel drive as standard. Inside the cabin of the 2020 Jeep Gladiator there isn’t much to say unless that it is very similar to the Wrangler once again. 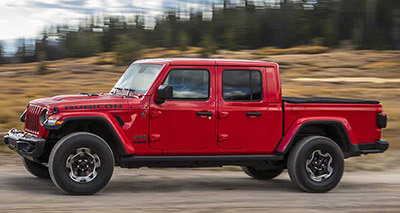 We can also state that the 2020 Jeep Gladiator is well equipped in terms of safety features.